The Blueprint by Any Other Name…. There is always discussion among practitioners about the meaning of the word “Blueprint” in SourcePoint Therapy. Recently I was involved in helping to find the right word for Blueprint in Portuguese, as Bob and Ray will be teaching in Brazil in June. The literal translation was “photograph of a house” and that obviously wasn’t going to work. We settled on “matrix.” The dictionary defines matrix as “a situation, substance, object, in which something is contained, originates, or develops.” So, that works, especially if we expand it to “the matrix of health for human body.” I have always found that finding the right word in another language is a fascinating and this experience led me to reflect again on the nature of the Blueprint, and the ongoing process of trying to explain it in words. There is a specificity to the term that other names don’t fully convey. The energetic Blueprint of human health that we connect with through SourcePoint Therapy contains information. That is its defining characteristic. We work not only with energy flow but with the specific information of health for the human body that exists at a subtle energetic level. SourcePoint is energy-information work. “Matrix,” for example, is a term that actually relates more closely to what we call Source. Yes, Source is indeed the source of all information; all possibility is contained in this universal energy field. However, the Blueprint is that point where the information of Source begins to manifest into specific subtle energetic form. The information of health for the human body that is contained in Source coalesces into the Blueprint. The energy flow begins to fixate into form according to the information it carries. The most frequent confusion among practitioners relating to the word “Blueprint” is that it implies something fixed, and the Blueprint as we speak of it in SourcePoint Therapy isn’t fixed. It’s a field of specific energy-information, a flow; it interacts and responds, communicates and transforms. And yet, emergence into form requires a certain degree of fixation. As the information of Source coalesces into subtle energetic form, it manifests as vibration, pattern and symbol.This is the language, the “word” that gives rise to form. The term “archetype” therefore also touches on what we mean by the Blueprint: a universal symbol, a pattern that emerges from the vast sea of consciousness Jung called the collective “unconscious.” We could speak of the archetype of health. However, we continue to choose the word “Blueprint” because, in English anyway, it is the word that most closely pinpoints the function of the information we are connecting with. It is tangible. It is information that is as available as unrolling a set of plans for a house. A blueprint gives the builder specific information of proportion and structure, just as the Blueprint we speak of in SourcePoint communicates the information necessary for the development of the human embryo and continues to communicate the information to sustain health directly to the human body. The term implies something you can take hold of and work with. And that is what SourcePoint is about. It is about making the esoteric tangible, practical and accessible, bringing an awareness of this dimension of energy, vibration, pattern and information into people’s everyday reality, for their benefit. 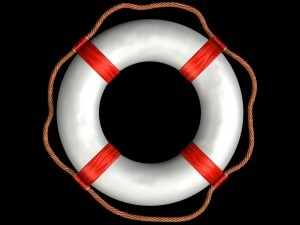 Switching analogies, in this vast sea of consciousness we dwell in, a lifesaving ring can be pretty useful at times. Recently someone recounted to us their experience of meditating with the Diamond Points when she was passing through a health crisis. She shared that she could feel the Blueprint as a grid, as a palpable presence, and her words were, “It gave me something to hold on to.” Sometimes people need that to support them in their healing process. It’s hard to hold on to Source. The Blueprint is an intermediary. A word or name or label is an entry point into experience. Reflect on this word, in light of your experience with SourcePoint, and see what comes up.